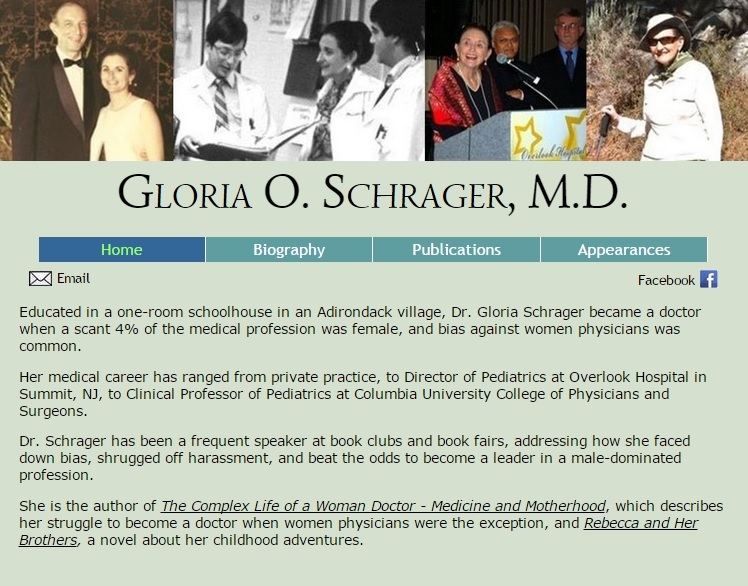 When Dr. Schrager published her first book, she had a promotional website set up by the publisher with a short biography and a description of her book. 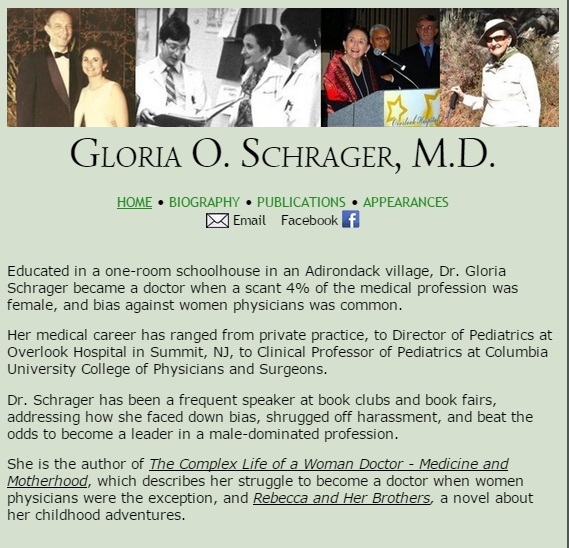 As Dr. Schrager began working on her second book, she wanted a website that would promote both books, include more information about her, and have a better design. a Publications page which includes descriptions of her two books, along with a list of the articles she has published throughout her career. a Biography page expanded to include the details of her Curriculum Vitae. a Appearances page listing her past appearances on radio, television, and speaking engagements. the menu was moved down from the upper left corner and replaced with a fourth photo of her. The site uses responsive CSS to detect the size of the vistor's device and display the pages proportionally for tablets and mobile phones. The top pictures and her name scale down, the menu is rendered differently, and the Email and Facebook links are positioned differently.